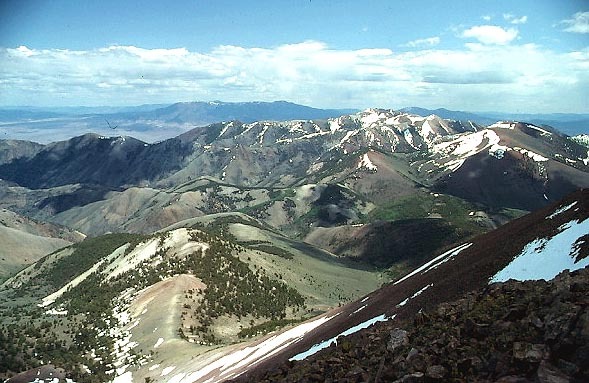 The view to the east from the summit of Arc Dome (11,788') includes Mt. Jefferson (11,949') on the left center horizon. Photo taken May 24, 1992 by Petesthousandpeaks.